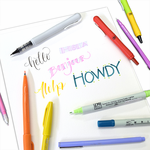 The ZIG Memory System Vellum Writers are very quick drying- perfect for writing or decorating on Vellum paper or other glossy paper surfaces. Water-based ink that will not bleed or wrinkle the paper, and is photo-safe and waterproof. Archival quality, Light-fast, Acid-free. 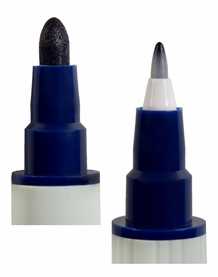 Double sided with a fine (0.5mm) and bullet (1.2mm) tip. 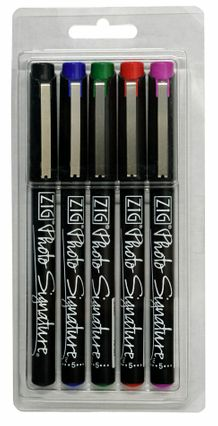 *Please Note: Any dual tipped markers must be stored in a horizontal position, if they are not positioned correctly this will result in one of the tips becoming dry and un-useable.